I thought I'd try out a new thing this week. I've been trying to figure out what I really love to write about and thinking of branching a little bit outside the home decorating lines. I think it would be more interesting anyway. I'm interested in a very wide variety of subjects so I don't always feel like I'm being real with all of you when I just stick to one thing. I am open to your feedback though so if y'all have any thoughts on the matter, I'd love to hear them! I really want to be encouraging and helpful to you. If there's anything you would like to see me talk about, please tell me. I love to research new things! Anyway, back to today. I love clothes. Like way too many of us, I have a growing collection. It's funny because I have a small shoe and makeup collection. Those really aren't my thing so I just buy what I need. But comfy clothes? I have to try very hard to say no. When I put on an outfit, I want to look stylish without really trying while staying super comfy all day. You'll never find me wearing 4 inch heels or anything super frilly or scratchy. 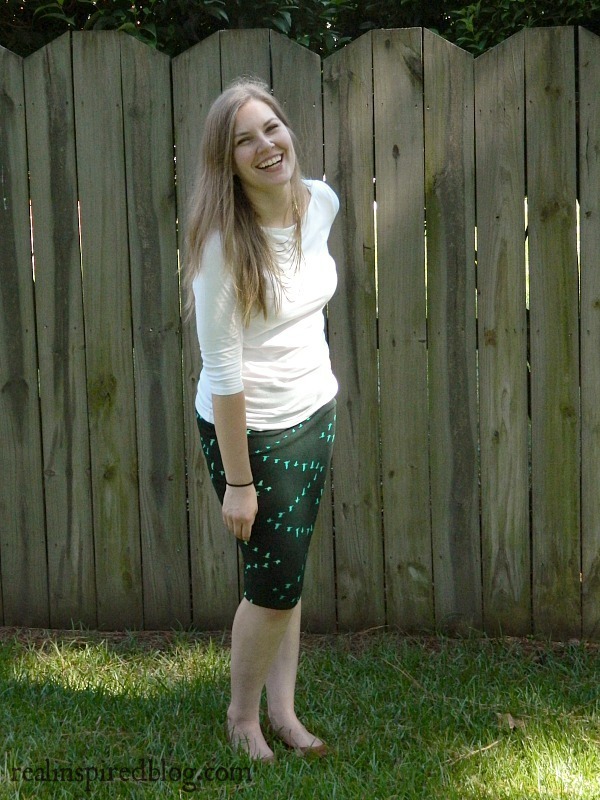 I want soft, stretchy, and simple without resorting to big t-shirts and yoga pants everyday. I love seeing how other people put together outfits, even ones that aren't my style, and so I thought maybe I could do the occasional outfit post. Complete with info on where you can find what I'm wearing or something similar. Something fun and maybe something helpful too! 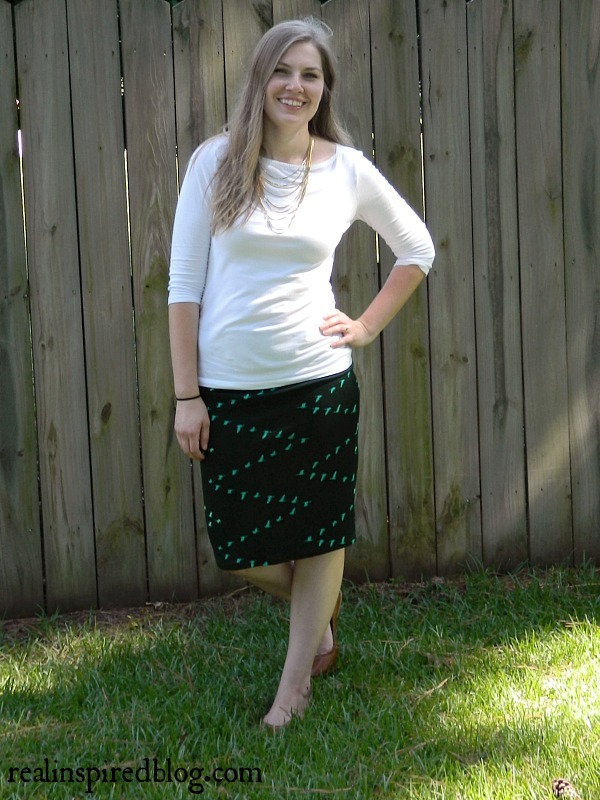 Today I'm sharing what I wore on Sunday. I kinda grabbed Hubby while he was grilling burgers, told him to take my picture and started doing silly model poses for fun. I guess he got a few decent ones though the light isn't the best. And the oh so obvious hair band on my wrist that I forgot to take off. Oh well. I wore this outfit all day long. To church, to run errands, and then through a small cookout with a few friends and family that were in town for the weekend. Super comfy! Do y'all like the idea of an occasional style post? I had a lot of fun doing this one! Even though it felt weird putting so much of me in this post. Hope y'all didn't mind!